The best testament to the visceral nature of the food that we love is when the little ones around us take to certain dishes. 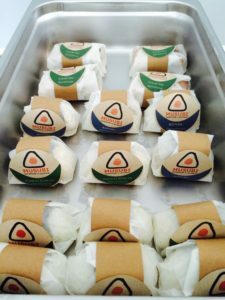 Musubi is definitely in the “I love it” camp. 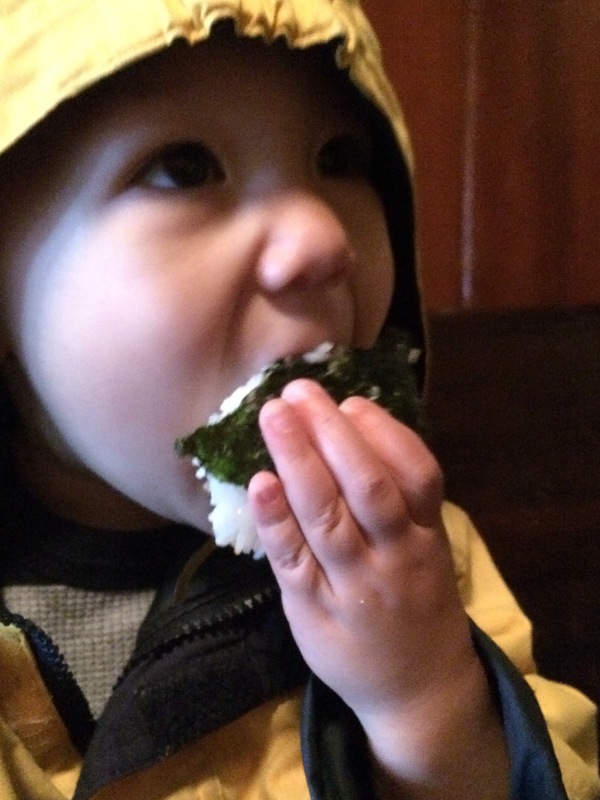 Here’s a shot of a little guy devouring a konbu musubi. I think he grinded this is less than two minutes!